Musk says cheaper Tesla model "about three years away"
It's the car Tesla "has always wanted to make." But it's still about three years away. That's per Tesla CEO Elon Musk, who spoke to CNN's Poppy Harlow Tuesday about the progress of the company's long-planned affordable offering. At the moment, the only vehicle the electric car maker has on the market is the widely acclaimed Model S, prices for which start around $70,000. When it does hit the market, the cheaper vehicle will go for about $35,000 Musk said, with drivers of course saving by not spending on gas. 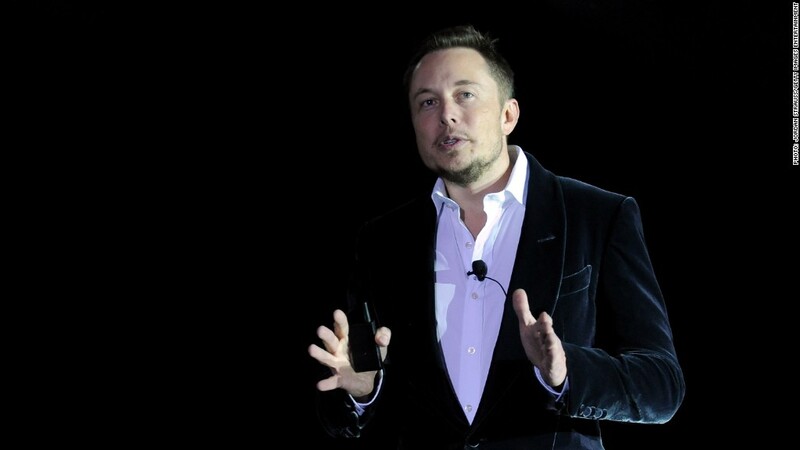 "[O]ur mass-market, affordable car is about three years away," Musk said. "That's the car we've always wanted to make." Musk's comments came on a day when the automaker revealed it sold 6,900 Model S sedans in the fourth quarter, which is 25% higher than the previous quarter and about 20% over its most recent guidance. Tesla (TSLA) shares surged nearly 16% Tuesday, and rose another 3.6% in after-hours trading. Up next for Tesla is the Model X SUV, which will sell for between $70,000 and $90,000. That vehicle is set to go on sale in late 2014, and Musk said high-volume deliveries will come "in about a year." Musk said Tesla would also like to produce a pickup truck similar to the Ford (F) F-150, though that project probably won't come to fruition for "something like four to five years."